Food service is an important driving force in California’s economy. Food service facilities provide jobs and build careers for thousands of people, and play a vital role in all communities throughout the state. 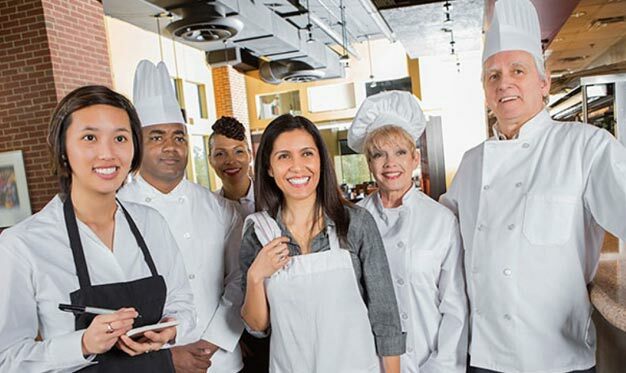 Food service safety training is key to keep this economy growing. Why is California Food Safety Training & Certification important? California food safety is essential to operating a successful food service. The safety of the food supply is a responsibility shared by sellers, managers and handlers. California Food Safety Training is a leading provider of CA food safety courses, food handlers cards, food manager ANSI certification, and HACCP training. Leading provider of online food safety training in California for: Los Angeles, San Francisco, San Diego, San Jose, Sacramento, Fresno, Long Beach, Bakersfield, Santa Ana, Oakland, Anaheim, Santa Ana, Riverside, Stockton, Chula Vista, Irvine, Fremont, San Bernardino, Modesto, Oxnard, Huntington Beach, Garden Grove, Oceanside, Santa Rosa, Berkeley, Palmdale, Corona, Salinas, Pomona, Toorance, Hayward, Escondido, Pasdena, Orange, Fullerton, Thousand Oaks, Visalia, Simi Valley, Concord, Roseville, Santa Clara, Napa, Davis, Vallejo, and many more! California food safety training key terms: California approved,California food manager certification,California food handler,California food handler permit,California food handler card,California food safety,California food manager,California certified food manager,California food safety training,California food safety course,California food vendor,California food truck, California caterer.